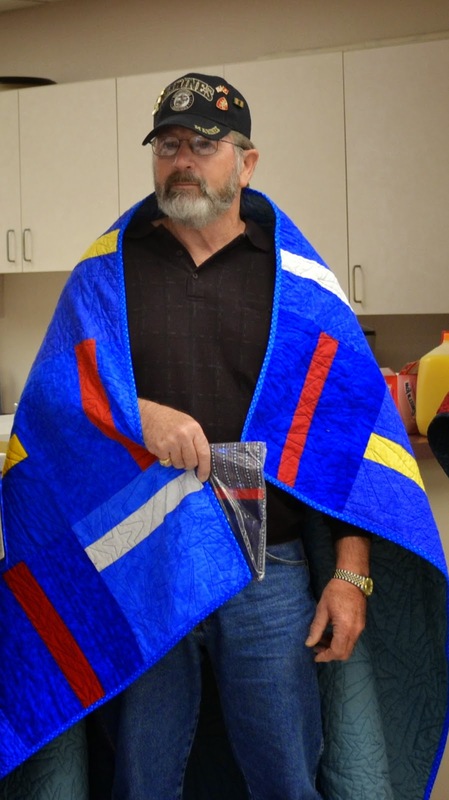 As most of you know, my friend Kevin the Quilter had a block drive last year for Quilts of Valor. 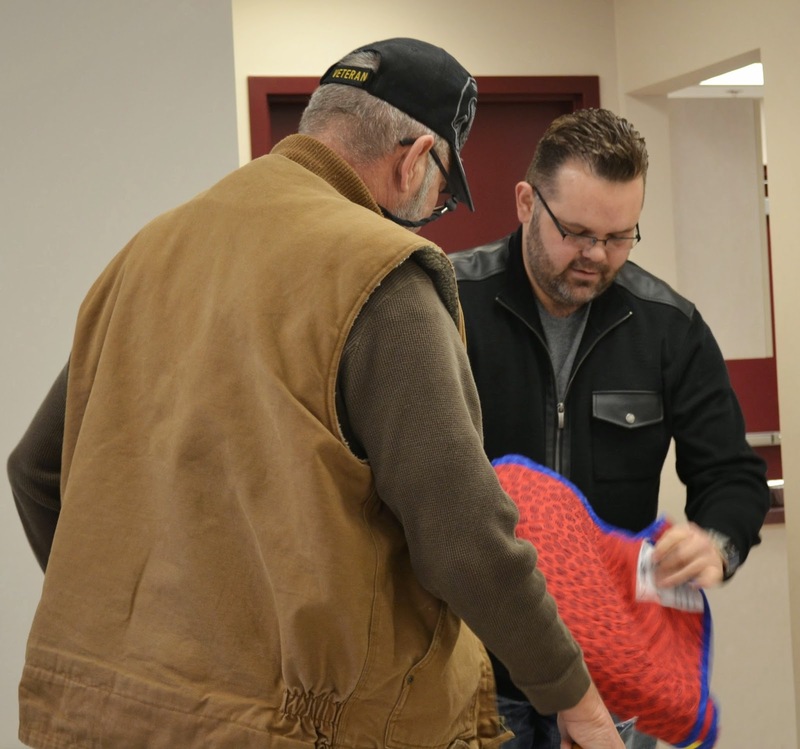 Almost 6,000 blocks were donated from all over the US and even a few other countries! 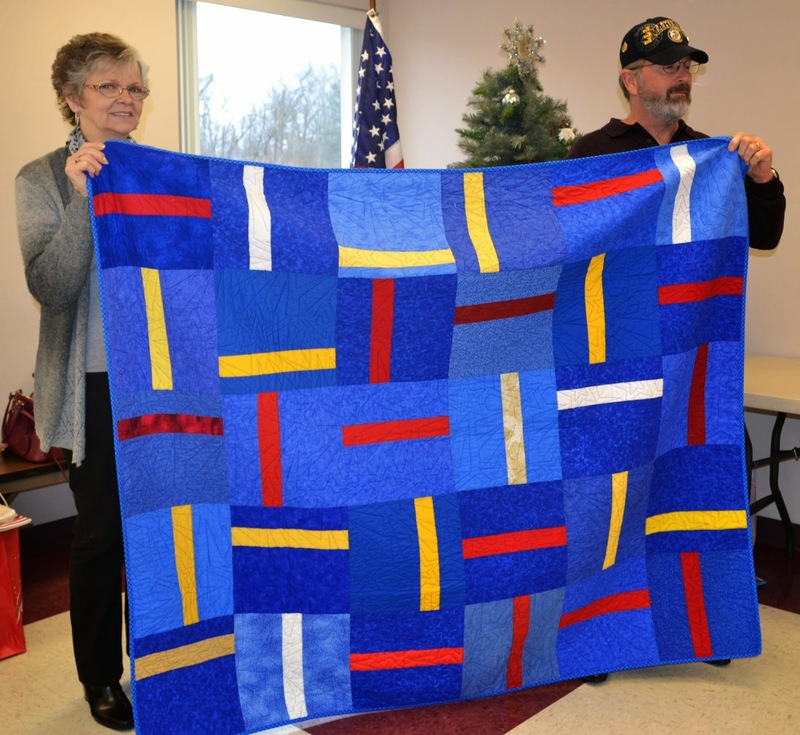 My local quilt guild, Perky Piecers, had the privilege of being one of the groups helping sew the blocks into tops. 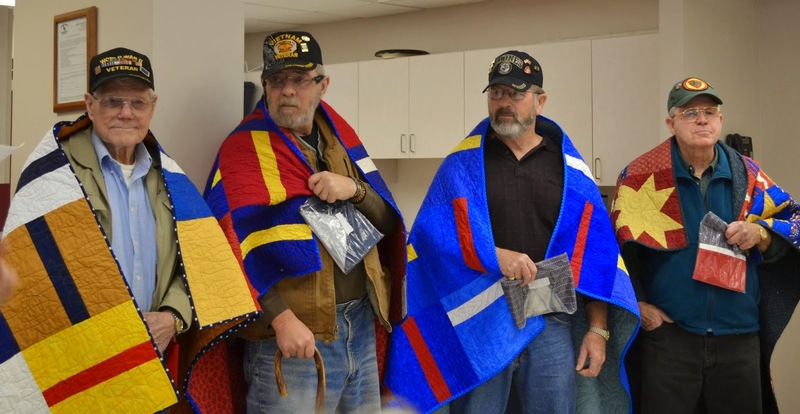 A couple of marathon sewing days, help from some very talented long arm quilters, and we were ready to present a few of the quilts to 4 of our local veterans. 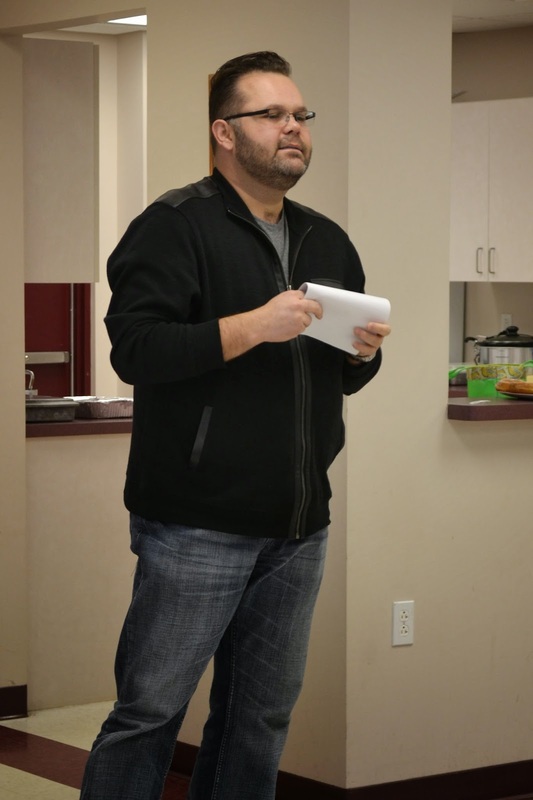 Kevin did the presentation. 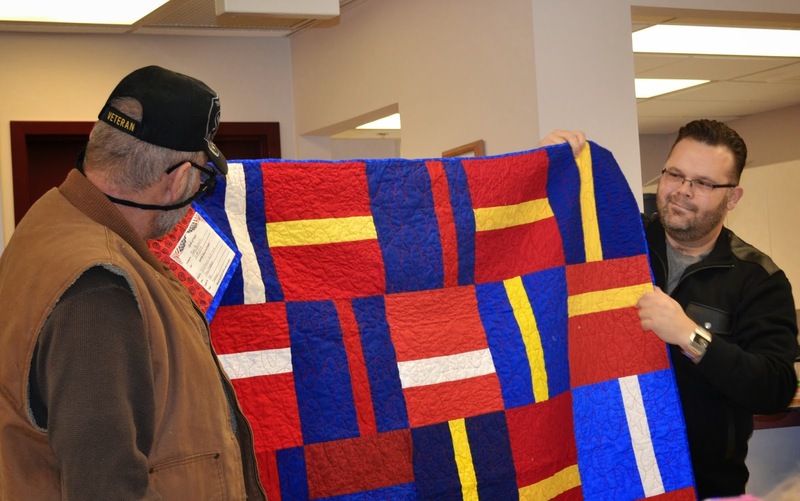 After Kevin gave an explanation of the meaning of Quilts of Valor, each Veteran was called forward individually to receive his quilt. 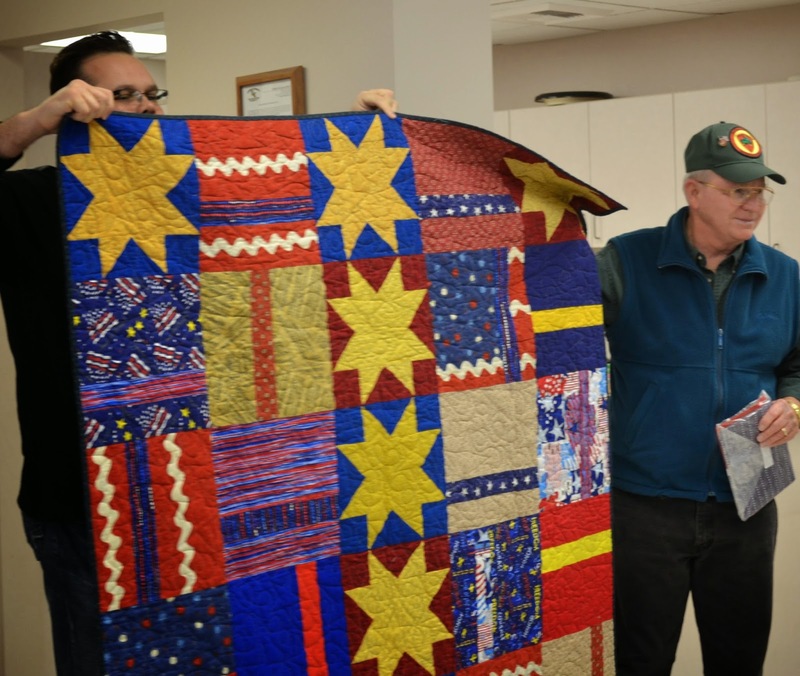 The quilt was wrapped around his shoulders and he was thanked for his service to our country. If you have never been to a presentation, find a way to get to one! 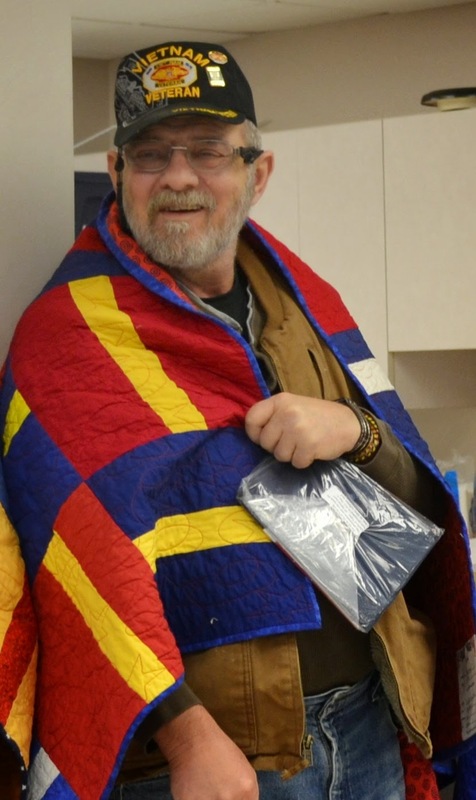 It is one of the most moving presentations you will see, especially if Kevin is doing the it. Quite a few eyes were not too dry this day. 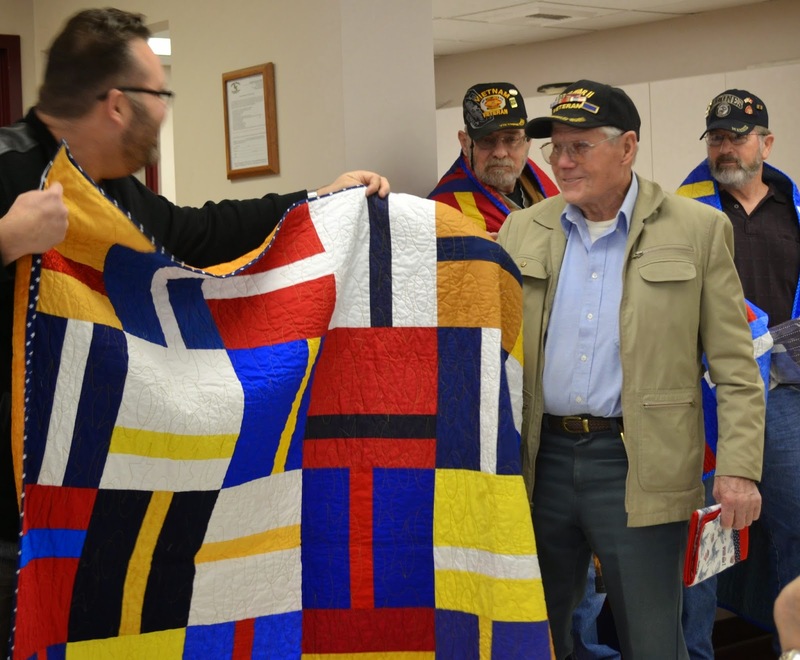 We had the honor of presenting to one WWII veteran, and three Vietnam Veterans. I have the privilege of personally knowing two of these men. To respect their privacy, no names. 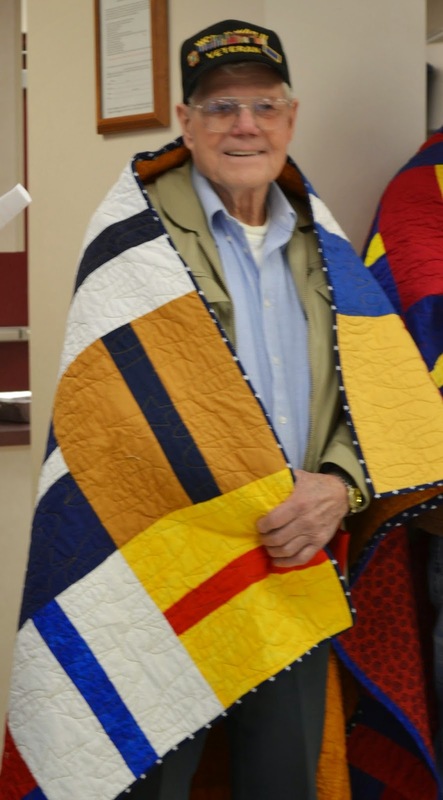 Our WWII veteran has 17, (yep, I said 17!) medals, including 2 purple hearts. 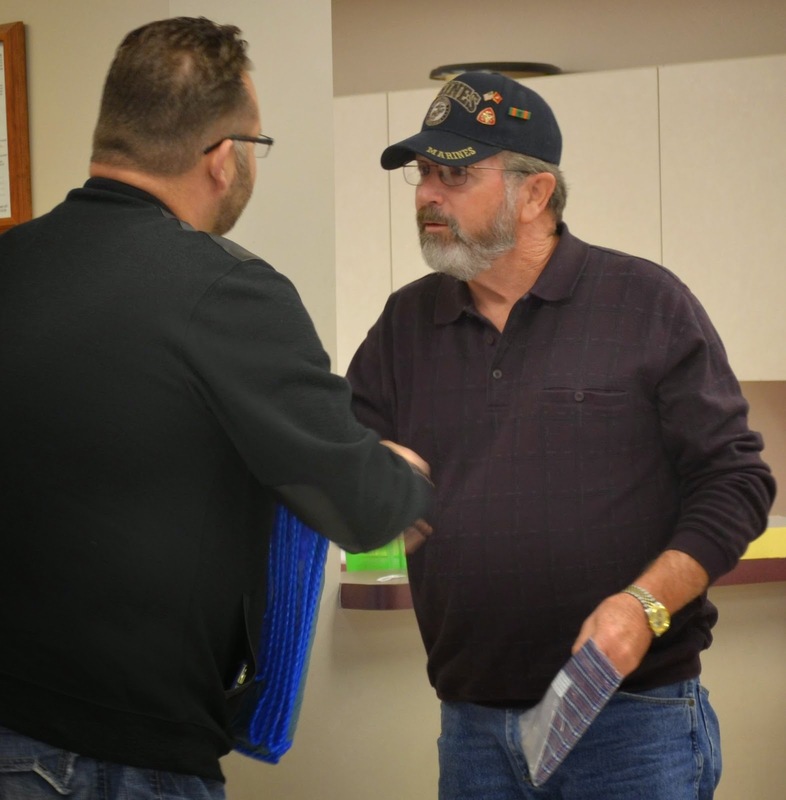 One of our Vietnam Veterans was Special Forces, one a Marine. 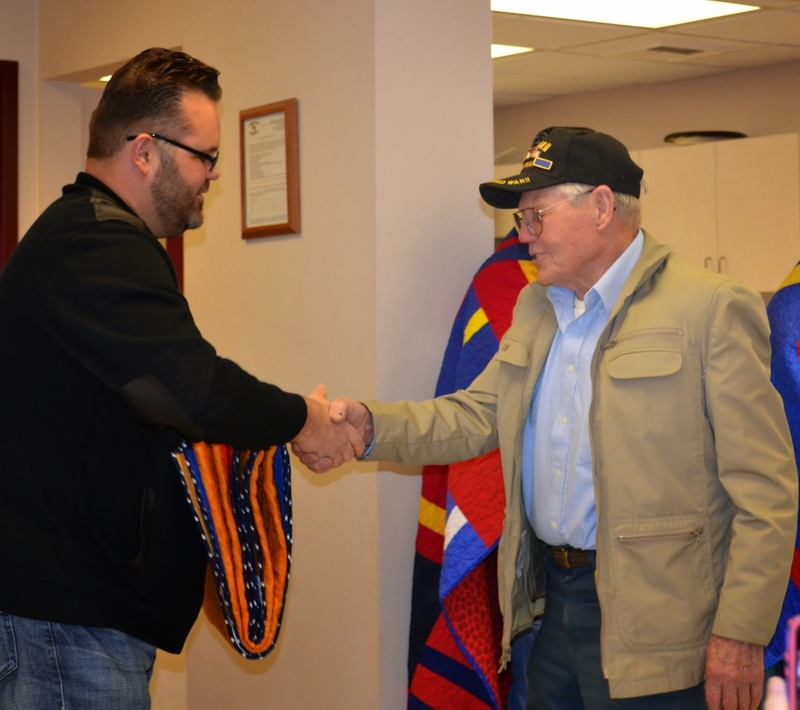 All of our veterans gave part of their lives to defend our country and we owe them so much. 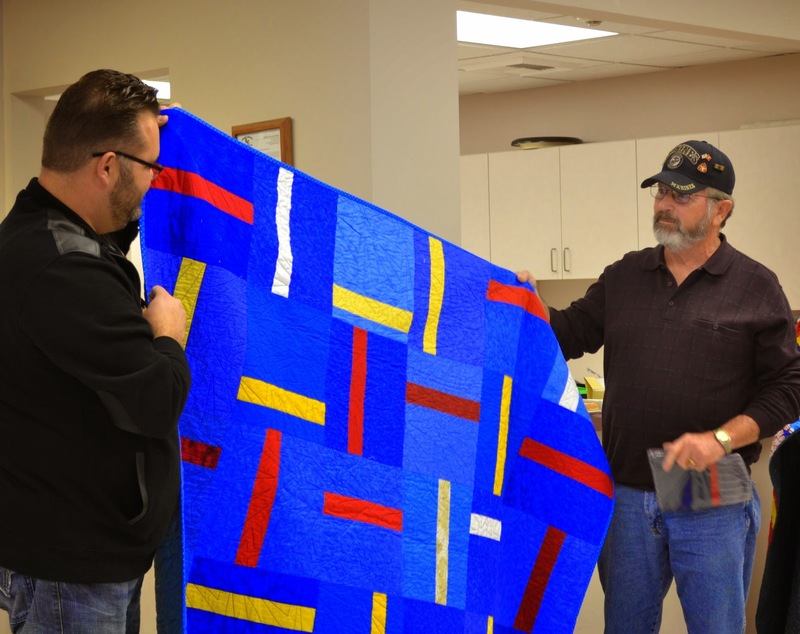 This is one way, we as quilters are able to show our appreciation and I am very proud of my guild for their participation! 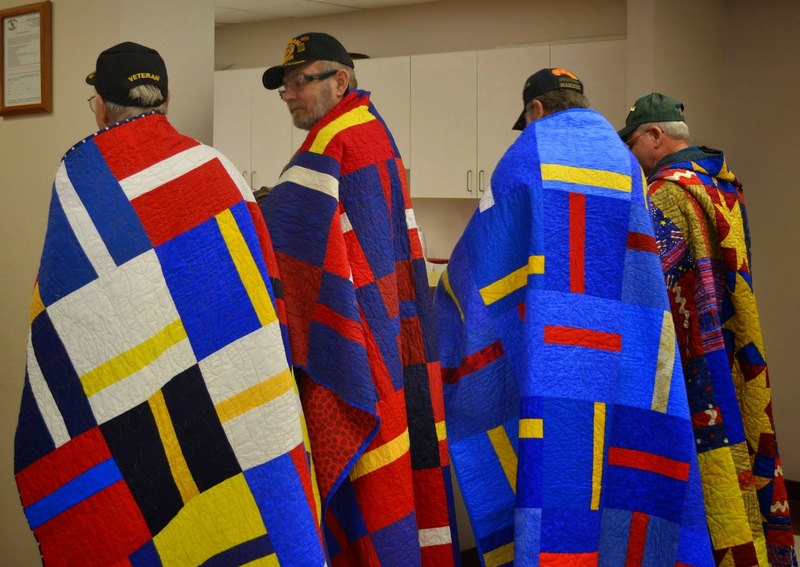 Our Veterans with their Quilts of Valor! I am so proud to be allowed to be part of their day! ANN! 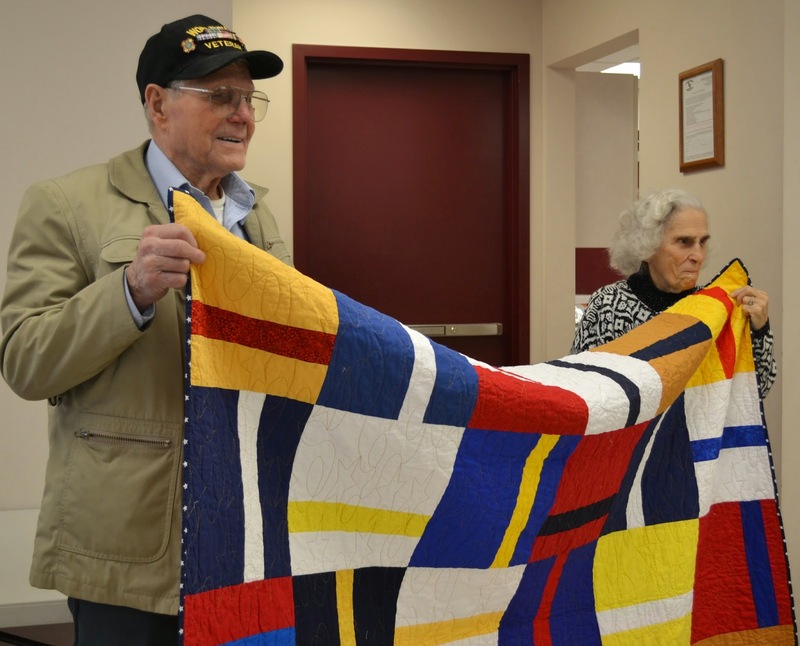 What a beautiful post and a great tribute to these veterans! Thanks for allowing me to be a part of your day! It was really special! FANTASTIC photos.........and it let's me know it is time to get down to business and LOSE SOME WEIGHT! I think these presentations are always so inspiring. 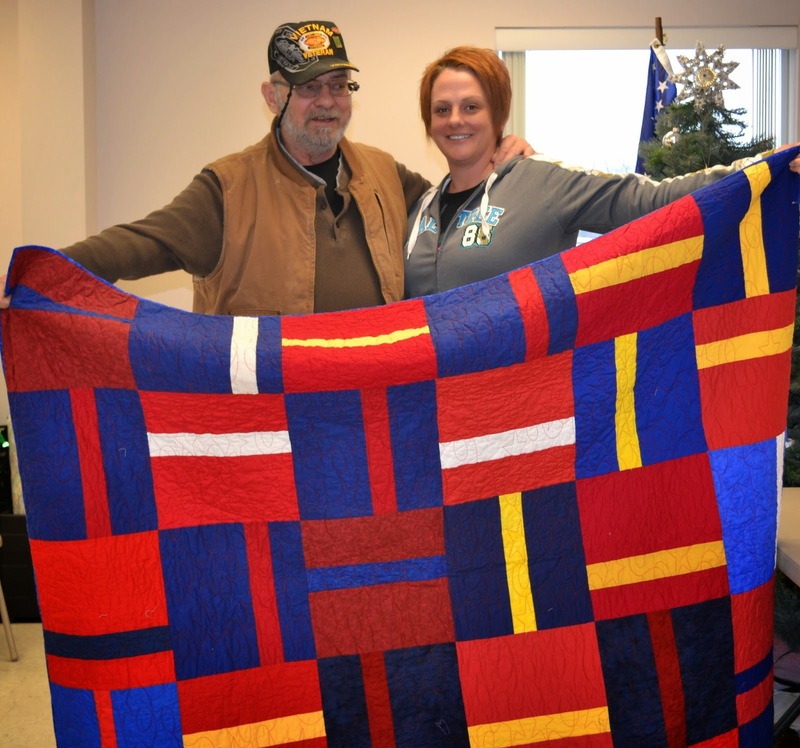 Thank you for doing ours! 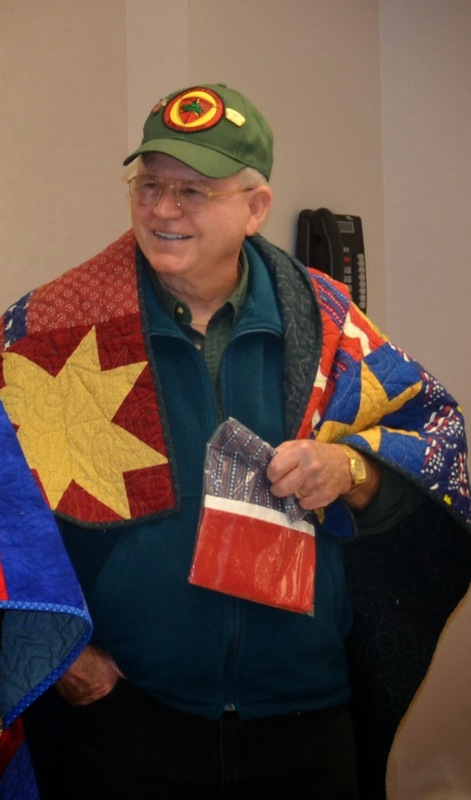 I am so excited to see those quilts. I made some blocks and sent them in. good to see where they ended up.